It’s not every day that you meet a startup with showcasing technology that sounds like something of out of the Cold War. 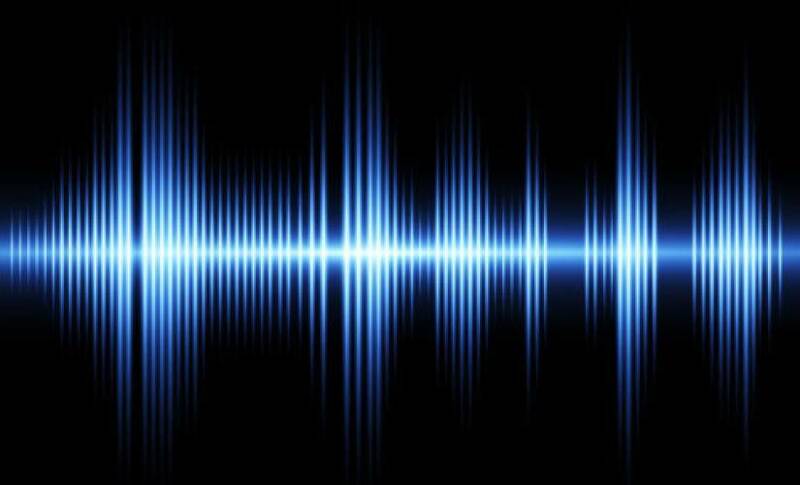 Like the use of sound waves to transmit data from one device to another, eschewing the need for QR codes, Wi-Fi, Bluetooth or NFC. But this exists thanks to the work of the team at Chirp, a group of scientists, acoustic technologists, and engineers that emanated out of University College London. A Chirp is a sonic barcode. Data and content can be encoded into a unique audio stream. Any device with a speaker can transmit a chirp and most devices with a microphone can decode them. I spoke to CEO Moran Lerner to find out more. Chirp can also extend an existing network infrastructure by creating data-over-audio links between individual devices and a network that is safe to use even in RFD-restricted environments, enabling the connection of the 90% of devices in the world that wouldn’t normally be part of an IoT ecosystem with the 10% of devices that would. This means offer almost unlimited problem-solving possibilities across all sectors, including telecommunications, financial services, IoT, entertainment and broadcasting, interactive gaming, toys, robotics, transportation and many others. Their technology is used by leading brands in more than 90 countries. In such environment, organizations can use Chirp, in order to enable personnel location tracking, access and authentication and data reporting from equipment within the facility. This also works in industries where they are working with chemicals and potentially explosive devices and materials in mining, agriculture, and pharmaceuticals. Other applications include Shuttl in India for their ticketing and bus transportation solution, global leader Amdocs for their telecommunications mobile wallet and MNO solutions, and Activision Blizzard for their latest instalment of their $3 billion Skylanders franchise – Skylanders Imaginators, using Chirp to share characters from the game directly to the companion app through sound – bypassing the console and completely offline. Chirp recently announced a partnership with Unified Inbox to quickly onboard devices onto their platform. The partnership will allow fast, easy, and secure onboarding of residential, commercial, and government IoT devices. UIB provides natural language communications (NLP) for IoT devices. People can communicate with their devices through the communications channels they already use, simplifying the onboarding process. The Chirp + Unification Engine integration layer can be easily adapted and developed for smart home, smart enterprise, and smart city use cases across verticals including energy, public transit, healthcare, waste/water management, home appliances, and consumer electronics. “It’s a very, very difficult science to master and what puts us so far ahead is our academic strength, that our work is researched by some of the leading academics on the field. One of the problems we are tackling ourselves is the ethics of how you take a solution to market. We’re not trying to be market leaders by marketing our technology as anything more than what it can actually do. We don’t exaggerate what it can do. We are very open and honest about what it can’t do. But one of the biggest issues affecting the tech sector over the last 5 years with the boom of IoT is that you get a lot of companies coming out to raise a lot of capital and the exaggeration of what they claim the technology can do is mind-blowing, So we’ve got a competitor who makes claims about their ultrasonic technology that breaks every known law of physics. We try to keep away from companies like that. But the reason we’re vocal about it and we try to do things with integrity and authenticity is that a company like that doesn’t just affect us. It affects the industry and erodes the trust in the industry. So many companies are moving towards academia because when you bring in a team of scientists and academics technologists, they are just born to be honest, and to work within the boundaries of what science allows. It’s not just bringing in people because they can add credibility, it’s the way they develop the technology is based on real science. We have experienced exponential growth in technology over the last decade, coming to a position of solution-focused technology such as Chirp. It’ll be interested to witness their growth in use cases.